The roads in Bangkok are usually filled with traffic, so you are best off using public transport. The underground MRT system will get you to most of the main attractions in the city. There’s also the Skytrain that runs through the major districts in the city. As well as standard taxis there are also river taxis if you fancy something a bit different. 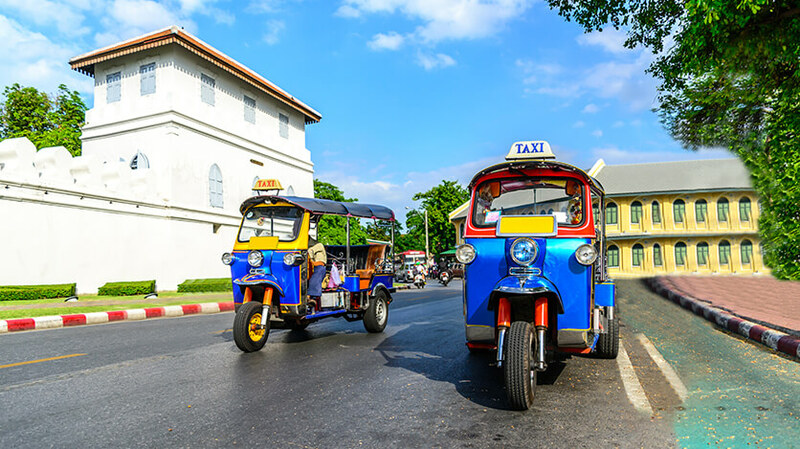 You should definitely take at least one tuk tuk ride while in Bangkok.